Sensitive skin? Look no further, CocoAloha Surf is here to back you up! It all started with founder, Gita Kaiser getting told by dermatologists to stop any activity that would expose her sensitive skin to the sun. The final straw was when she possibly needed to give up surfing—Gita couldn’t image her life without the sea, the sun-rays that came with it, and the sport that she had the most passion for. 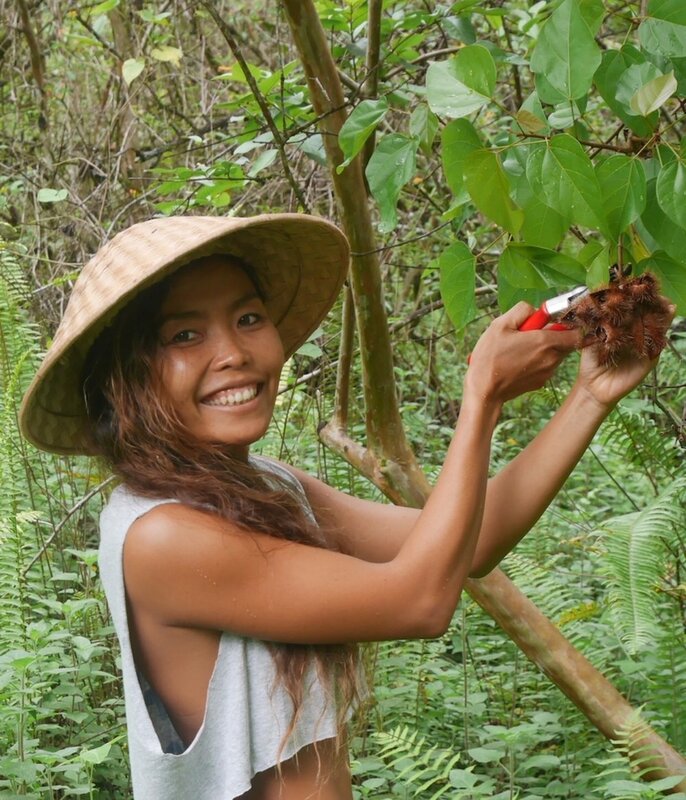 She then put all hands in deck, brainstormed a solution, collected natural eco-friendly ingredients, and CocoAloha Surf was born! What’s the backstory of CocoAloha and how did it come to fruition? In 2015 I moved from Bali to Hawaii and begun taking contraceptive pills. This started a difficult period for me because these pills had negative impact on my skin, a condition called Melasma or dark patches on my face. I tried everything: changing pills, using different kinds of skin care products, quitting the pill altogether... nothing helped. The more time I spent in the sun, the worse it got. I spent a small fortune on dermatologists, expensive face creams and higher SPF sunscreens. Nothing helped, my skin condition just got worse. With the dermatologist recommending that I needed to avoid the sun at all cost, I nearly gave up surfing. The prospect of not being able to do what I am most passionate about was terrifying! I live to surf, the ocean is my temple. Surfing represents fulfillment for me on many levels, physical, social and spiritual. Being a person who loved making my own body products, I decided to try and find a solution myself that would work and help my skin condition. After months of research I found out about the natural sun protection ingredients that are contained in CocoAloha. Day in and day out, I used my home and made sunscreen for surfing, for gardening, for going out, for everyday life! Early on, I just made sunscreen for myself and was overjoyed that I had created something that worked for my skin. Eventually some of my surfing friends enquired about it, tried it and asked for more. It wasn't just good for my own skin, others enjoyed the benefits of the organic sunscreen I had created as well. In 2017 the first commercial batch of CocoAloha sunscreen was made, only ten tins. After receiving incredibly positive feedback from friends, and friends of friends, i started making more. At first I only made CocoAloha in my own skin tone, but then began offering options for every different skin tones, so I started making white and beige ones. What sets CocoAloha apart from other sunscreen brands? CocoAloha is not just a natural waterproof sunscreen, it is a unique combination of ingredients that come together to create a skin care product that does many things. Aside from protecting the skin from the sun, it also moisturizes, nourishes, conceals blemishes and has healing properties. While most sunscreens recommend against applying their products on broken skin, I use CocoAloha on minor cuts, burns, and scratches with great results. Anyone who cares deeply about themselves and the environment. What is the biggest misconception your hear about sunscreen, and how can your product help get the facts straight? The biggest misconception is that all sunscreen products are safe to use. There are sunscreen products out there that contain chemicals that harmful for your skin and the environment. The only thing that I can do about this misconception is by providing a sunscreen that is safe for our skin and the environment. By using CocoAloha as a platform (label, website) to share information and build awareness around consumer choices and consequences, we're doing our part. 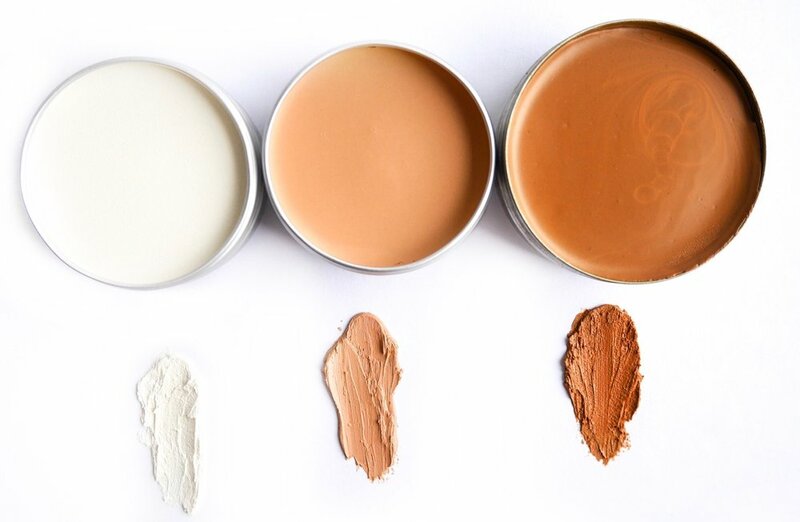 How often do you recommend reapplying CocoAloha? And what’s the best way to do so if you’re wearing makeup? If you spend time in the water, I recommend to reapply every 2- 3 hours, but if you are not, it is not necessary. I normally apply CocoAloha on my bare face without needing anything else under or on top of it. Because it functions as a make up and moisturizer. After hearing your story about Melasma and how CocoAloha made a difference in your OWN life, do you advise a specific regimen for individuals whose skin is extra sensitive? I think everyone needs to figure out what works best for themselves and for me the priority is to protect my skin from direct sun especially in the hottest part of the day. What has been your proudest moment with CocoAloha? The first time when people told me that CocoAloha was the best sunscreen they had ever tried. It states on your site your product conceals blemishes, dark spots and imperfection—for someone who prefers applying sunscreen instead of regular concealer like me, what are the benefits of doing the switch with CocoAloha? I heard from my customers that most of the sunscreens they tried made their skin dry and flaky, while CocoAloha nourishes and moisturizes your skin. They share positive feedback that their skin feels much better after 1 month of using CocoAloha. I would encourage everyone to do their own research about the ingredients and benefits that are contained in CocoAloha. I know tanning is almost unavoidable if you live an active lifestyle, what is the bare minimum SPF everyone should be wearing? That depends on the individuals skin type and sensitivity to sunlight. For me, SPF 30 is the minimum for my body and SPF 45 for my face. Which CocoAloha product is your favorite? The tan color because it matches my skin tone. What advice would you give to someone who is thinking of creating their own product in the Beauty/Skin Care industry? My advice is to put their heart into it and research all the ingredients they are going to use, making sure it is beneficial for themselves, others and does not harm to the environment. I would also advise using eco-friendly packaging. I just saw that you just shipped your product to Australia and Puerto Rico, where is your ideal selling location? I don't have an ideal selling location really, it can be anywhere in the world. What does the future hold for CocoAloha? Continuing to spread the CocoAloha message for caring about ourselves and the environment. The feeling that it gives me, to make a difference for myself, others and in some small way, the planet.